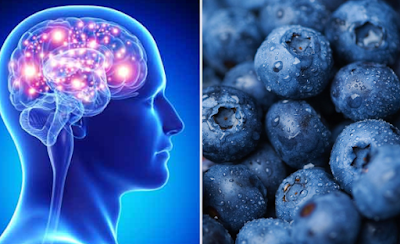 Eating blueberries can help you maintain mental clarity even as you age, reports Psychology Today. This is because blueberries contain flavonoid phytochemicals called anthocyanidins, which help brain cells maintain their ability to communicate with other cells. They can even help the body produce new nerve cells. This effect is enhanced when blueberries are consumed with foods rich in omega-3 fatty acids, such as walnuts. Toss blueberries and walnuts with yogurt or blend both ingredients into a smoothie. Cocoa flavonols found in chocolate improve blood flow to the brain and improve thinking function while providing antiaging protection, according to studies done by a number of universities, including Harvard, Northumbria and Wheeling Jesuit University. Like antioxidants, flavonols open up blood vessels and promote blood flow to the brain. Omega-3 fatty acids are essential for normal brain functioning and development. Research shows a 10 percent reduction in cognitive decline in older adults who eat fish at least once a week, according to the Australian Nursing Journal. Choose cold water fatty fish such as salmon, sardines or mackerel, which are rich in the omega-3 fatty acid docosahexaenoic acid (DHA). If you can't eat that much fish, try flaxseed meal, walnuts or tofu, which are excellent sources of the omega-3 fatty acid alpha-linolenic acid (ALA). Supplements also can help you consume adequate amounts of this brain-boosting fuel. A high protein breakfast may boost thinking power, according to Muscle & Fitness magazine. A Swiss study found that subjects eating both a protein-rich breakfast (80 grams of protein to 20 grams of carbs) and a balanced breakfast (50 grams each of carbs and protein) performed significantly better on mental tasks than subjects who consumed a high-carb (80 grams maltodextrin and 20 grams protein) breakfast. Try eggs and whole grain toast, tofu-vegetable scramble with tortilla or a handful of nuts with a piece of fruit.